Saurik has released another huge update for Cydia and this time it adds some more cool features. 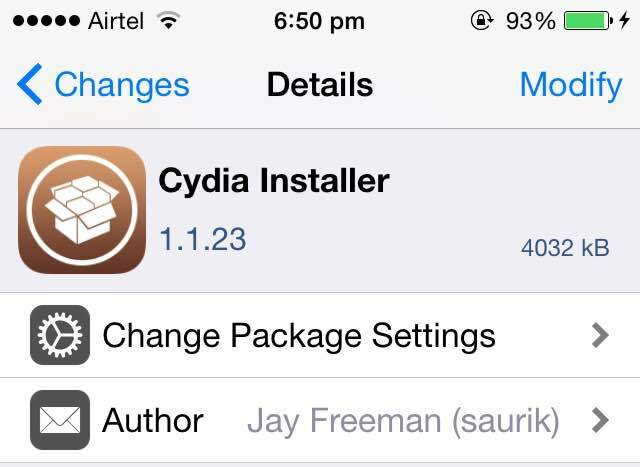 Cydia Installer 1.1.23 brings new features such as support for package downgrade, the ability to find extensions and other bug fixes. There have been a lot of frequent Cydia updates lately, ever since it went from root to mobile. In the latest update, you have the option to downgrade a tweak or package if you felt that the previous version was less buggy or better. Version 1.1.23 also adds a new feature called ‘Find Extensions for Applications’, which lets you find tweaks that are related to apps on your iOS device. Pretty cool right? Cydia will now allow you to downgrade to the current version of a tweak, and it will also allow downgrading to any previous version of a package that is available on a Cydia repo. Going forward, saurik indicates that he will leave previous versions of his package online while users are able to sort out potential problems and issues. Inspired directly by TweakHub, this update will automatically determine which applications a Substrate extension is designed to modify, and provide users with a categorized list based on installed applications. This technique does not rely on package tags, which would require work on the part of developers. This only works with default repos, and the list is randomized to give a fair shake to all apps and tweaks. 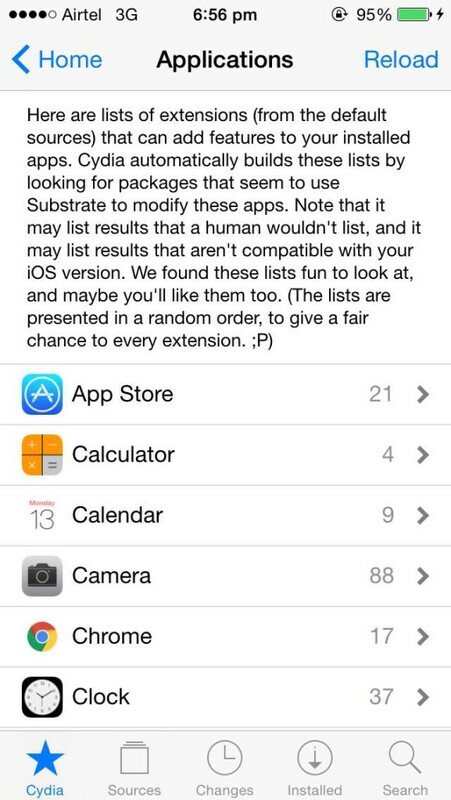 You can find the list on the main Cydia page under the Find Extensions for Applications section. Some users reported that when their system cache was cleared, Cydia would stop running. This should now be fixed. To install the latest version of Cydia, simply launch the app and hit the Refresh button in the Changes tab. You should be notified of an Essential upgrade. What do you think of the new features in Cydia?